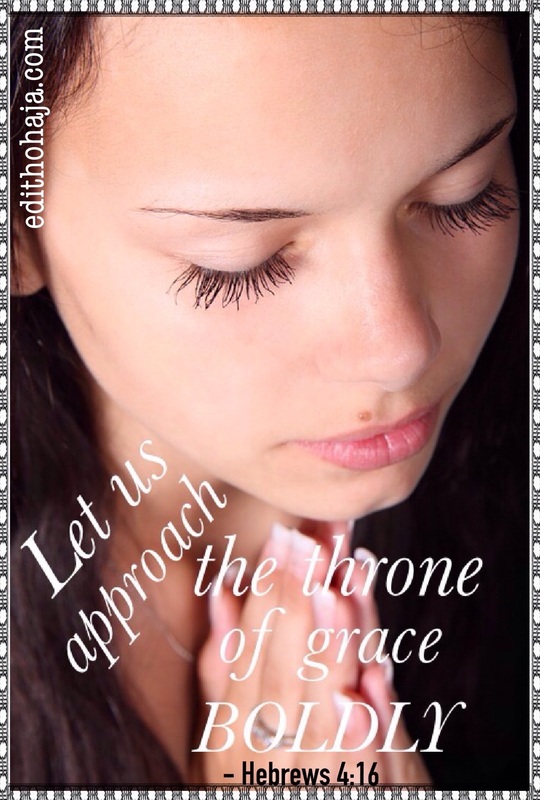 Let us then approach the throne of grace with confidence, so that we may receive mercy and find grace to help us in our time of need – Hebrews, Chapter 4, verses 15 & 16 (NIV). God understands what we are passing through. His Son, Jesus our High Priest, walked in our shoes during His earthly ministry and experienced the same temptations and difficulties we are facing. He knows how to bring us out triumphantly. There may be people and places where help may purportedly be got from, but many of them are offering Greek gifts that further ensnare people and lead to their destruction. So, take that problem to Jesus today. More mercy and grace than your situation demands will be released to you so that you will not only overcome your challenge, you’ll be able to assist others in theirs. But before you can do this during life’s storms and be assured of the results our theme scriptures above promise, you need to acknowledge that you are a sinner, repent and accept Jesus as your Lord and Saviour if you haven’t done so. The Bible reminds us that God is not deaf or powerless to help us but our sins have separated us from Him such that He does not answer when we call – (Isaiah 59:1 & 2). “knowing that you were ransomed from the futile ways inherited from your forefathers, not with perishable things such as silver or gold, but with the precious blood of Christ, like that of a lamb without blemish or spot” – 1 Peter 1:18 & 19 (ESV). Surrender your life to the Lord Jesus today and come confidently to God when the billows rage. He will respond and you will know that He is indeed a faithful Father and God. Thank God you're a teacher ma, at least teaching and reminding people of the kingdom and the call they must respond to. +Nyoung. There is power in the gospel. You laid this out beautifully. Glory to God and bless you, Tara! I was on CWBU on FB tonight. I love your blog which honors God and emphasizes prayer. I'm at Tablet of your Heart on Wordpress and FB. Blessings! Amen and may God uphold you in your faith till our Redeemer returns in Jesus' name. You have really been a source of inspiration to me. I read this post and I know in my heart the essence of this message because am a product of grace and his grace has kept me.